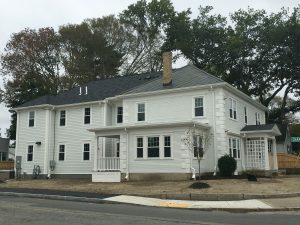 Throughout the year, JMBA+ continues to assist an array of clientele with renovation, historic restoration, modifications, and custom house design. Through thorough analysis, problem solving, and a team approach, JMBA+ continues to complete projects on-time, in budget, and exceeding expectations. New Bedford City Hall has been undergoing some historic preservation on its façade! 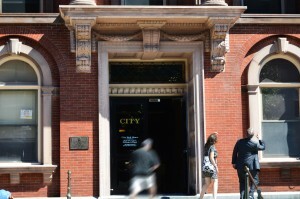 Check out this image of the completed work we’ve done on the historic building and stop by to see it for yourself! (Brownstone Trim, and Window Trims). In 2009, JMBA + was commissioned to created a long term Capital Needs Study. 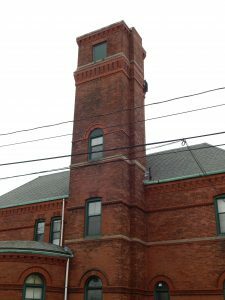 The resulting study recommended many improvements to the building that would allow it to continue as the Premier Live Performance Theater in Southern Massachusetts. Since that time many of the recommendations were implemented. In 2017, the Zeiterion Theater Inc. once again turned to JMBA+ to update the study and prepare marquee designs. 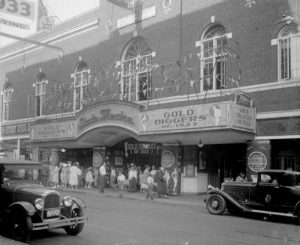 The Theater is currently seeking funding for the marquee. Department of Capital Asset Management and Maintenance (DCAMM) recently completed its negotiation with JMBA+ to perform on-call services for the states 30,000 buildings. The first project will be to review water infiltration issues at their Brockton Facility. JMBA+ will prepare a certified study of the problem, making recommendations for the repair of the building exterior. Once the study is accepted by DCAMM designs will be prepared for a public bid. This project has been reveiwed be several Architects in the past, but no repairs have been undertaken. JMBA+ hopes to solve these problems with study work beginning in March 2018. Watch for the development of this exciting project in the near future. 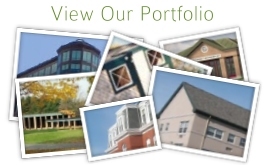 We are currently providing Schematic Design services for review of the client and both historic agencies. 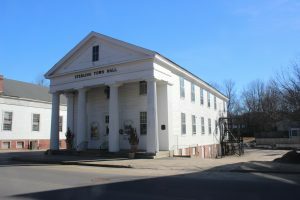 JMBA+ has been hired by the 1835 Town Hall Committee, in Sterling, MA, to commence the restoration of this historic Greek Revival Town Hall. The first phase will be to restore the roof structure over the second floor auditorium. Turnbuckles and wire cables have been installed in the past to allow the removal of the original ceiling after a balcony was created in the late 1800s. Our mission is to remove these devices while restructuring the roof timber to support the structural loads. The auditorium has not been used due to handicap access issues. The second part of our work will be to install a Limited Use/Limited Access (LULA) elevator to allow barrier-free access to the second floor and reopen the auditorium. Our work will replace the roof which is failing. TO date we have visited the building and prepared existing condition documents. The project is scheduled to be let out to bid in mid-April. The City of New Bedford is moving forward with the restoration of the City Hall and several other projects. In our continuing effort to restore this historic City Hall, JMBA+ is in the process of completing the design of the replacement of the building entrances with historical accurate fenestration! the work will restore the historically accurate Sixth Street wood doors, while replacing the main entrance, located on William St, and the entrance on Pleasant Street, with replicated wood/glass doors. The project will also restore the bronze clad comfort station along with new entrance doors. The comfort stations will not be restored. The Fire Museum, located on Bedford St, will have the roof replaced along with new gutters and wood trim. This work is scheduled to be completed in the Spring of 2 018. Work on Fire Station No. 2 is scheduled to begin in the design phase. JMBA+ will review the exterior brick masonry and determine the source of current leaks within the building. The work is scheduled to begin in Spring 2018.